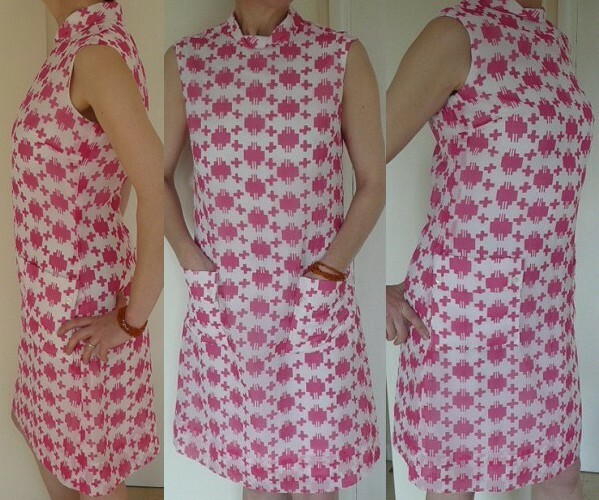 Fab vintage 1960s pink and white dress. 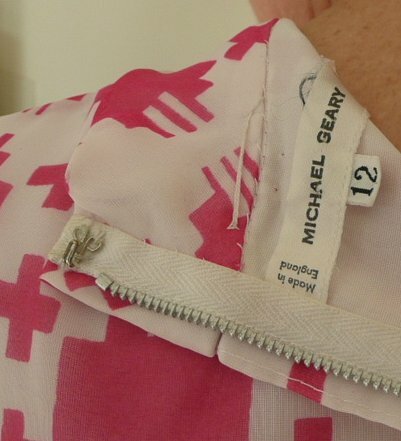 This is a sweet and very simple little pink-and white shift dress by Michael Geary of swinging London. In excellent vintage condition, with few signs of wear, it is fully lined and marked as a size 12 (but see measurements below). As with many sixties dresses, the neck is high by modern standards, but very comfortable; it has a little fold-over collar which fastens at the back with a hook and eye. 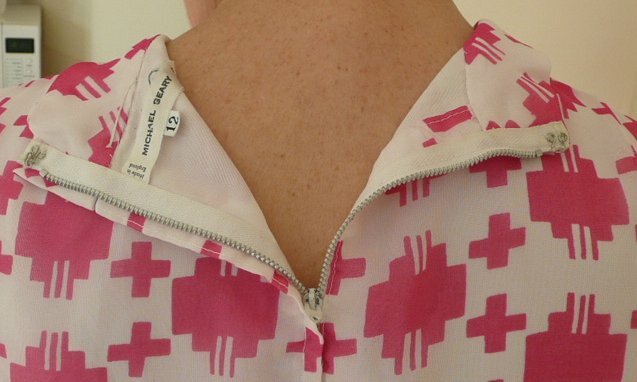 There are two pockets, both of a useful size, with false flap tops and button detailing. It's in lovely condition - really fresh and neat! Best fit would probably be a modern UK size 10-ish: approximate measurements are: bust 37 inches (94 cms), waist 30 inches (76 cms), hips 39 inches (99 cms), length from back of neck 37 ½ inches (95 cms).